Should Gardeners Grow Endangered Species? Of the about 150 “Species of Concern” (Endangered, Threatened, Sensitive, or Candidate Species) listed by the Washington Department of Fish and Wildlife, 25% are birds, 21% are mammals, 21% are fish, 15% are insects (10% butterflies or moths), 7% mollusks, 6% amphibians, and 5% reptiles, with one listed annelid: the Giant Palouse Earthworm! These are just the species that people have noticed, either because of their economic significance, their “cute and cuddly” factor or simply due to the fascination of individual hobbyists and scientists. You can visit the Washington Department of Fish & Wildlife for a complete list. Botanical gardens and arboreta perform the same functions as zoological gardens (“zoos”). Although historically, they both were primarily created by avid collectors for amusement, now both strongly focus on education and conservation. 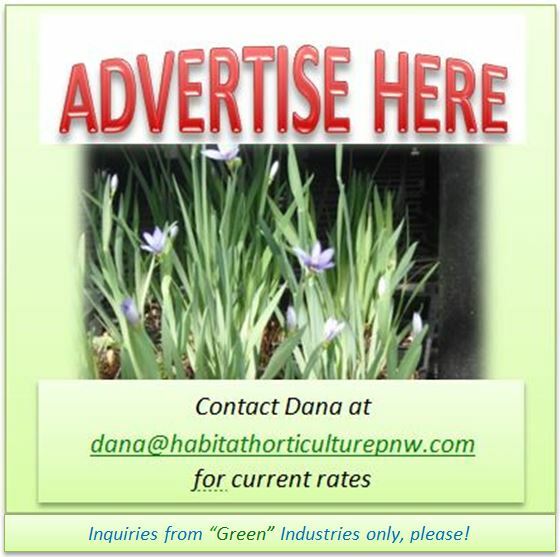 Home gardeners are also often motivated by the urge to collect beautiful, interesting, or exotic plant species. The cultivation of rare plants in home gardens can help preserve species as long as it is done responsibly. The well-known Gingko tree, probably would not have survived if Chinese monks had not started cultivating them in their monasteries over 1000 years ago! Rare species are not often found in nurseries, except in states where they are more common. Gardeners should purchase plants, bulbs or seeds only from a reputable nursery (one that documents the sources of their stock). Many of our favorite cultivated flower bulb species are now rare or extinct in their native lands (mostly Eastern Europe) due to overcollection. Collection of wild plants should be done sensitively. Some plants such as many of our native orchids, have complex, semiparasitic life strategies and will not survive transplantation, so are better left alone. Others can be propagated by judicious collection of seeds or cuttings. The digging of a whole plant should only be done if it is in danger by development, or if other methods are not viable—as long as there is a large enough, sustainable population at the collection site!—and you have permission of the property owner. There are over 400 rare vascular plants tracked by the Washington National Heritage Program of the Department of Natural Resources. Listed separately are about 80 mosses, 130 lichens, 30 marine algae, and 60 macrofungi. It is important to note that even though a plant is listed as rare in Washington, it may be common in other states. 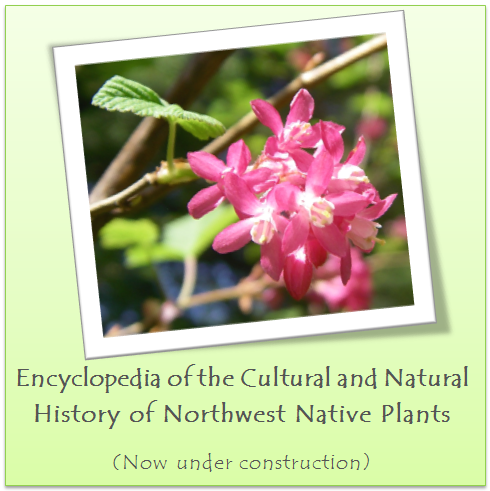 Of the 31 rare plants listed for Pierce County, 16 are only known due to historical records. Golden Chinkapin, Chrysolepis chrysophylla, is listed as a “sensitive” species in Washington State. About 10% of the rare plants in Washington are sedges, rushes and reeds with another 5% miscellaneous water plants; 9% are grasses; 7% are ferns. 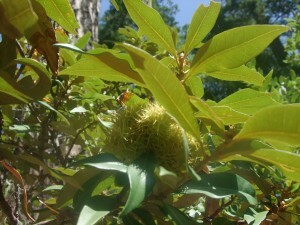 Few are woody species: several willows, a raspberry, some alpine heather-relatives, a currant, a gooseberry, a hawthorn, and a species related to chestnuts: the Golden Chinquapin. Many rare plants are weedy-looking species that would have very little appeal to the home gardener, however many species are related to well-known cultivated species: several daisy-like fleabanes and asters, campanulas and lobelias, lupines, gentians, blue-eyed grasses, alliums, evening primroses, saxifrages, monkey flowers and penstemons, a nicotiana, and a violet. Click here for a complete list and more information on each species. The listing of endangered species is useful to help us identify critical habitats. Although the extinction of any single species is a sad event (excluding diseases and certain “pest” organisms), even more important is preserving habitat. As humans continue to encroach into “undeveloped,” wild areas, habitat preservation and restoration become more and more important to preserve the “web-of-life” on which we all depend. That is why growing and planting native plants is one of my passions!